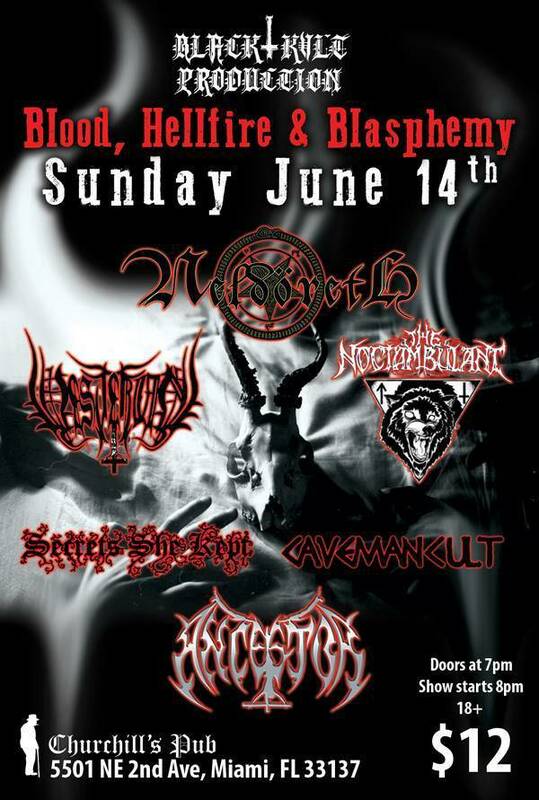 Check out the quick write up from BLACKMETALMOTHER about this Sunday's epic black metal show! 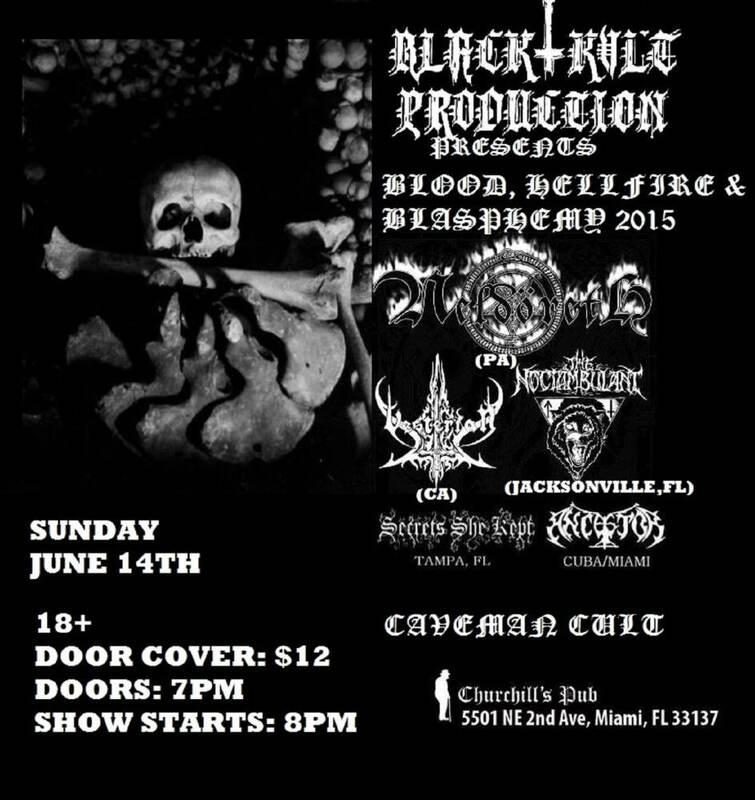 BLACK KVLT PRESENTS: BLOOD, HELLFIRE & BLASPHEMY W/ Neldoreth (PA), Vesterian, The Noctambulant, Secrets she kept, Ancestor, Caveman Cult. Sunday June 14th at Churchills Pub!